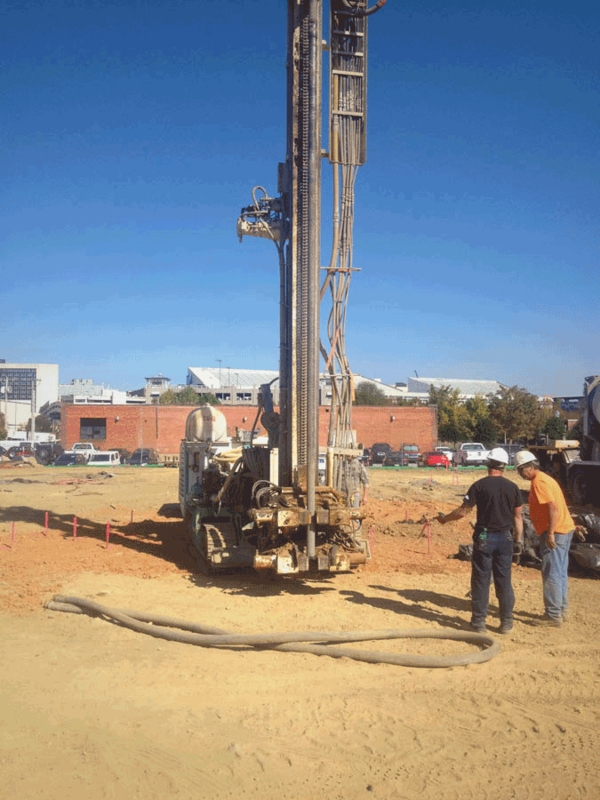 What is a micropile or minipile? 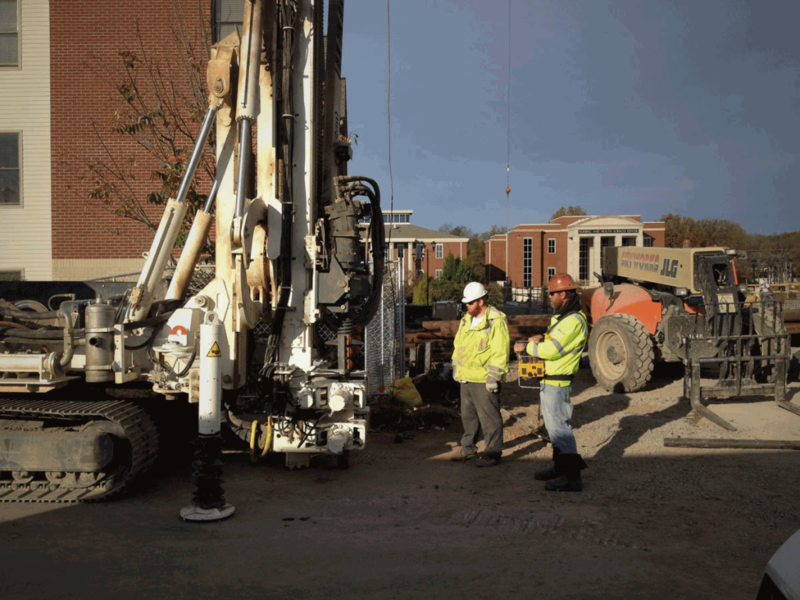 The differences between micropiles and minipiles are minor. 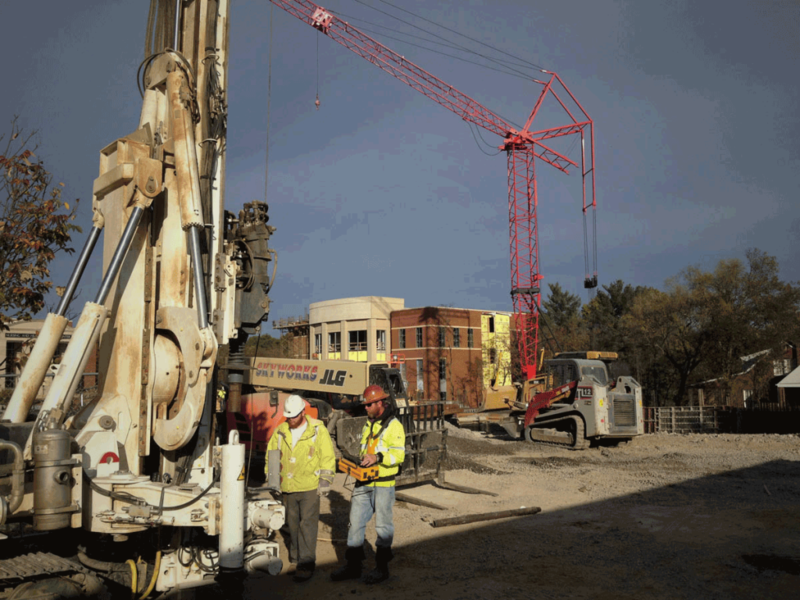 The terms are used here interchangeably. 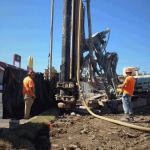 Micropiles are small diameter drilled and grouted friction piles. 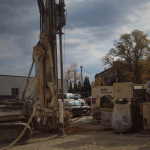 Each pile includes steel elements that are bonded into the bearing soil or rock – usually with cement grout. 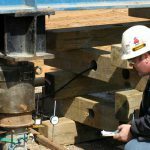 The bearing stratum is logged during installation drilling to assure that bearing capacity is adequate. 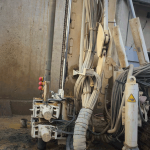 Since micropiles are bonded to the rock socket wall, they do not rely on end-bearing capacity and there is no need to establish competency of rock beyond bond-depth. 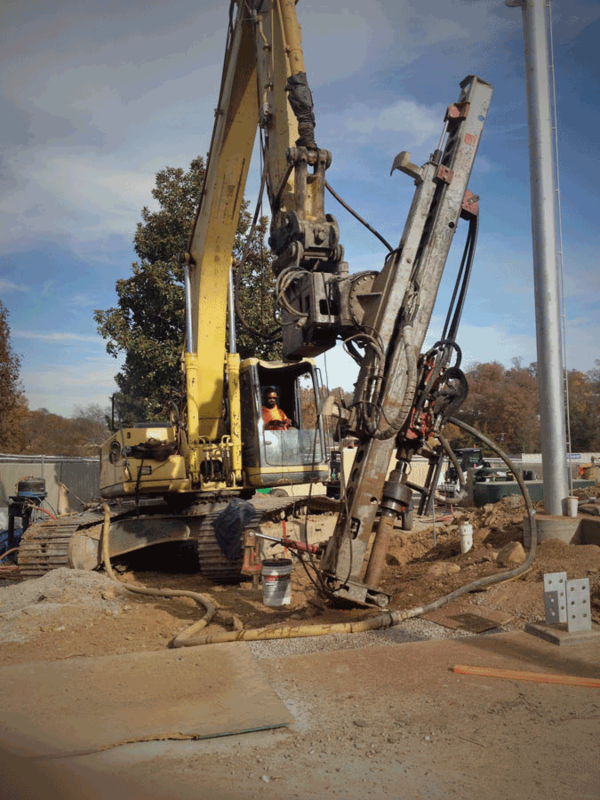 They can be installed quickly in virtually every type of ground using highly adaptable mobile drilling equipment. 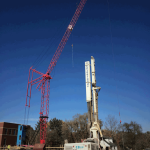 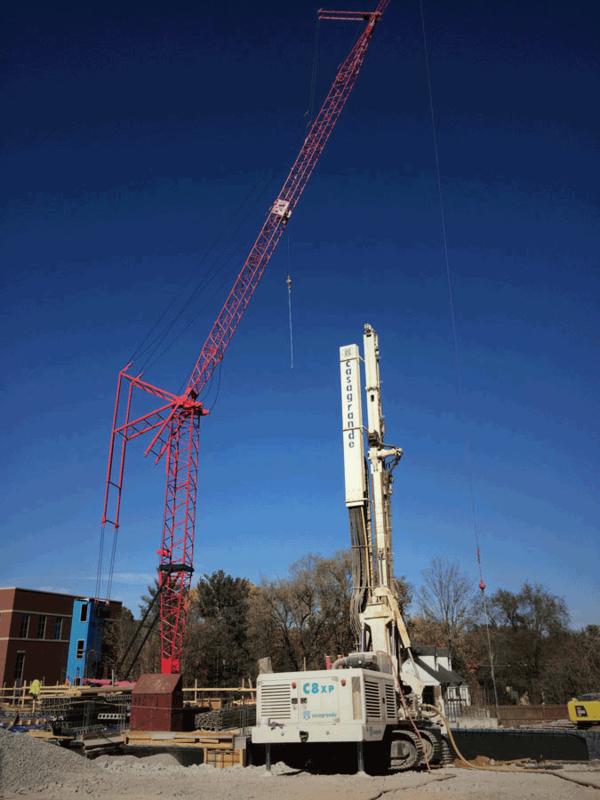 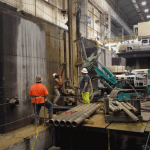 These steel piles typically have working capacities up to 250 tons. 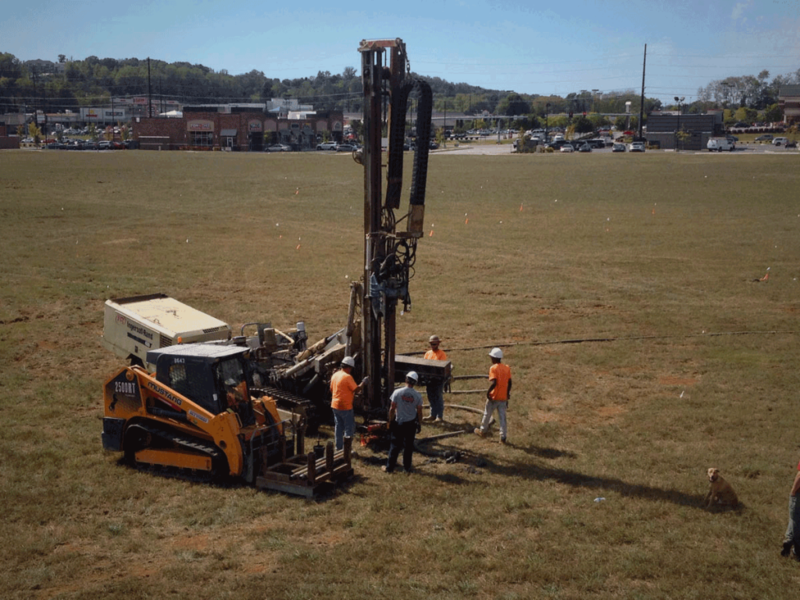 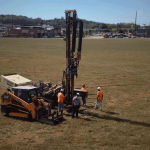 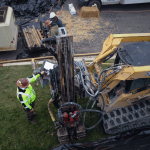 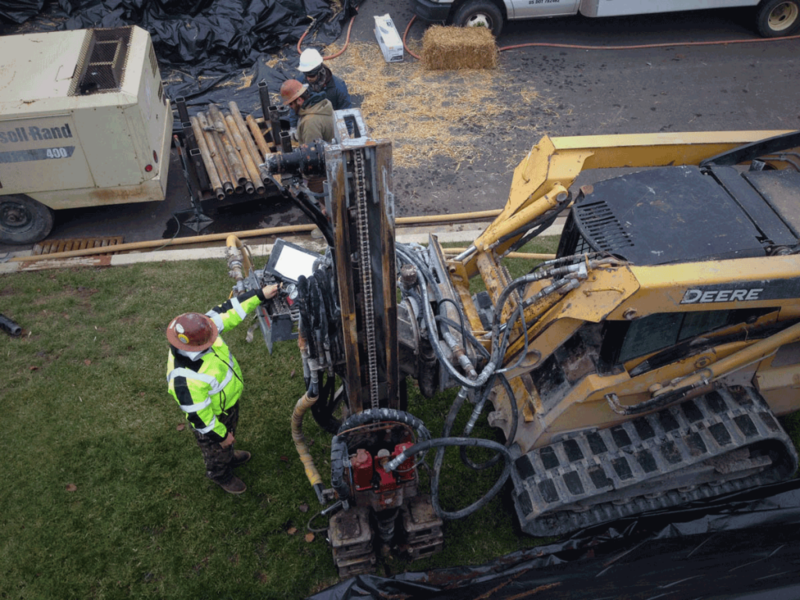 What are the key advantages of a micropile or minipile? 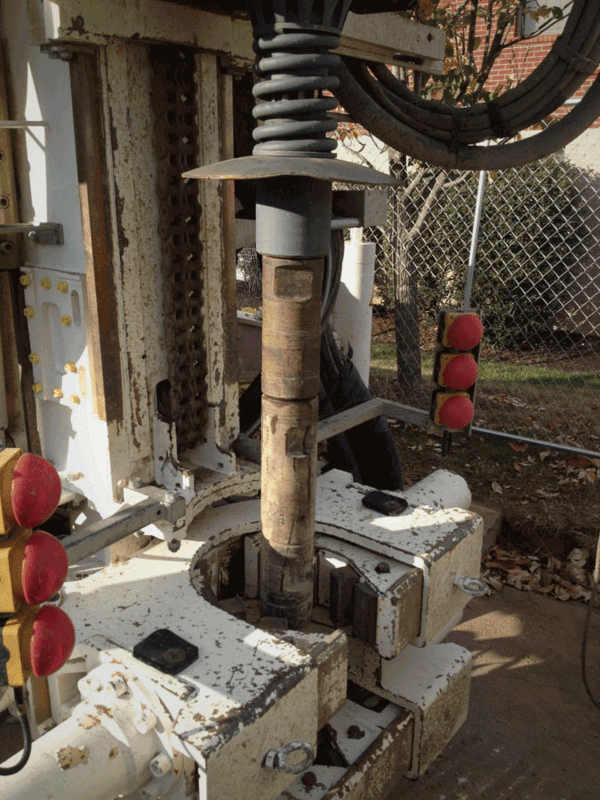 Micropiles (minipiles) are an economical alternative to large diameter drilled shaft foundations, especially in difficult ground conditions, karst geology, or restricted access situations. 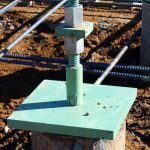 They may be reinforced with a threaded bar (75K) to attain the correct design load capacity. 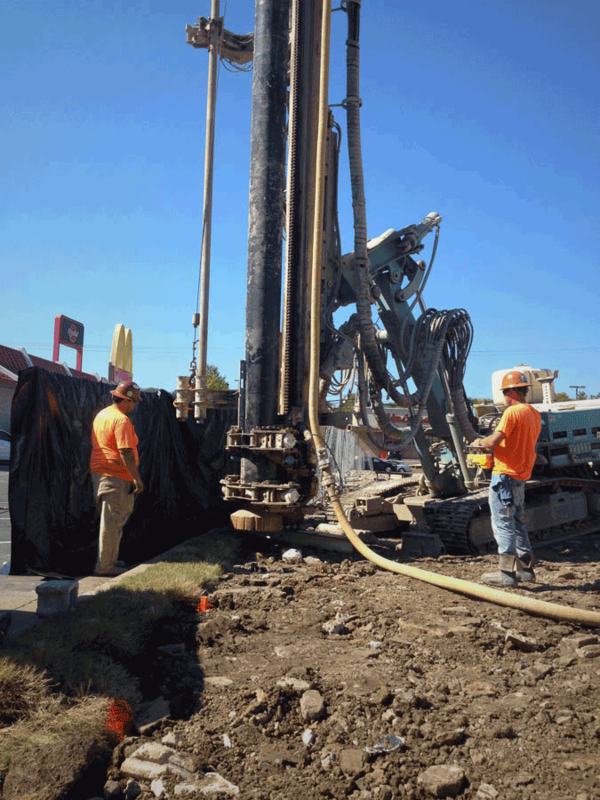 Micropiles are often preferable to “H” piles because of overhead physical constraints. 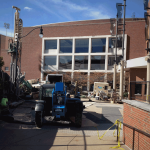 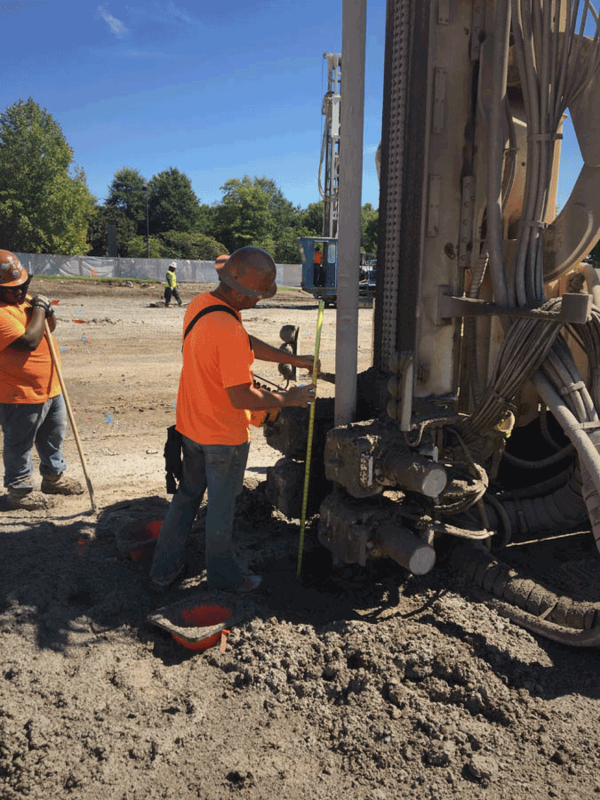 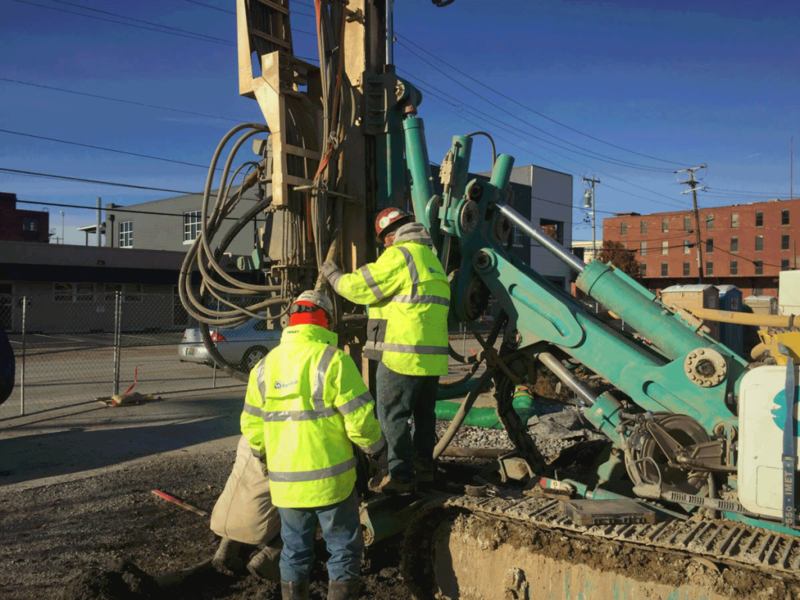 Whereas “H” piles require open overhead space so that one long section can be driven into the ground, micropiles can be installed in close quarters and with restricted headroom by connecting many short sections of casing and drill rod. 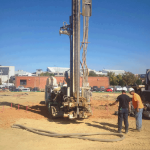 What are the typical applications for a micropile? 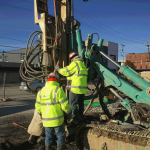 Micropile systems are preferred to support and stabilize buildings, bridges, highways, towers and other man-made structures, either as new foundations or remedial construction. 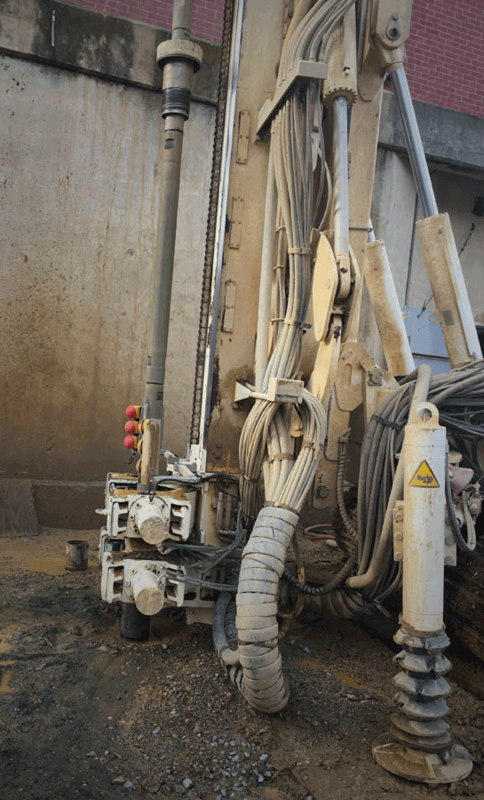 They are also frequently used for underpinning and shoring applications due to their high load capacity and flexible installation techniques. 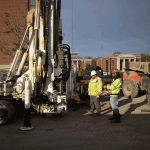 Drilled into bedrock, micropiles or minipiles bond to the rock socket wall for load transfer. 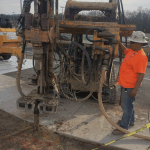 Drill rigs for micropiles may be man-portable for cramped interior installations or up to 40 ton tracked machines for large building sites. 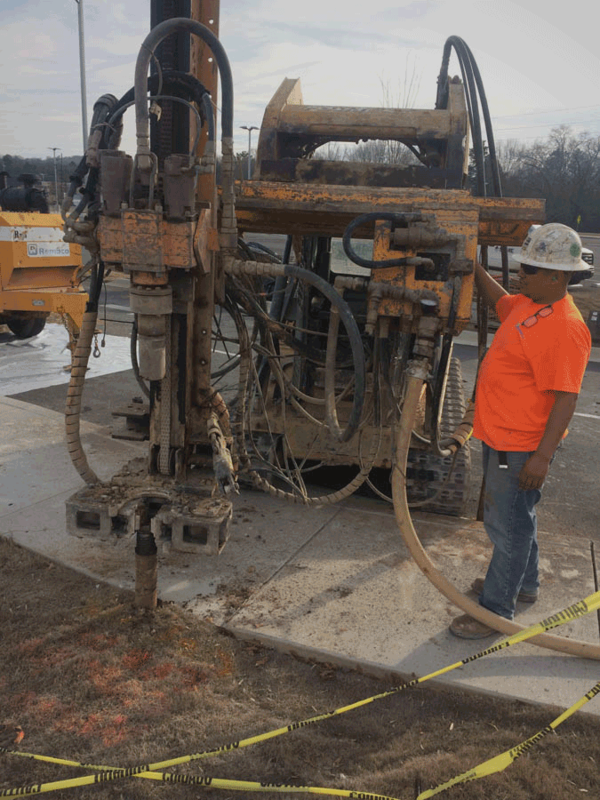 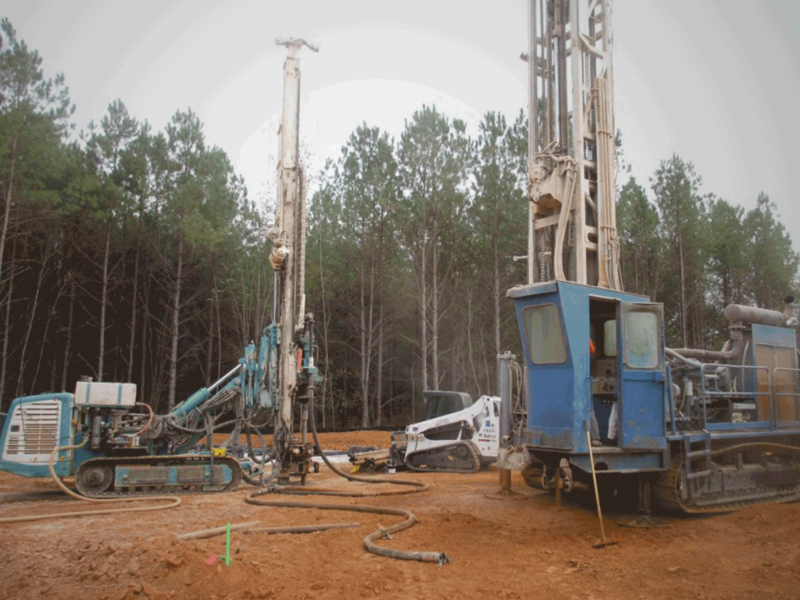 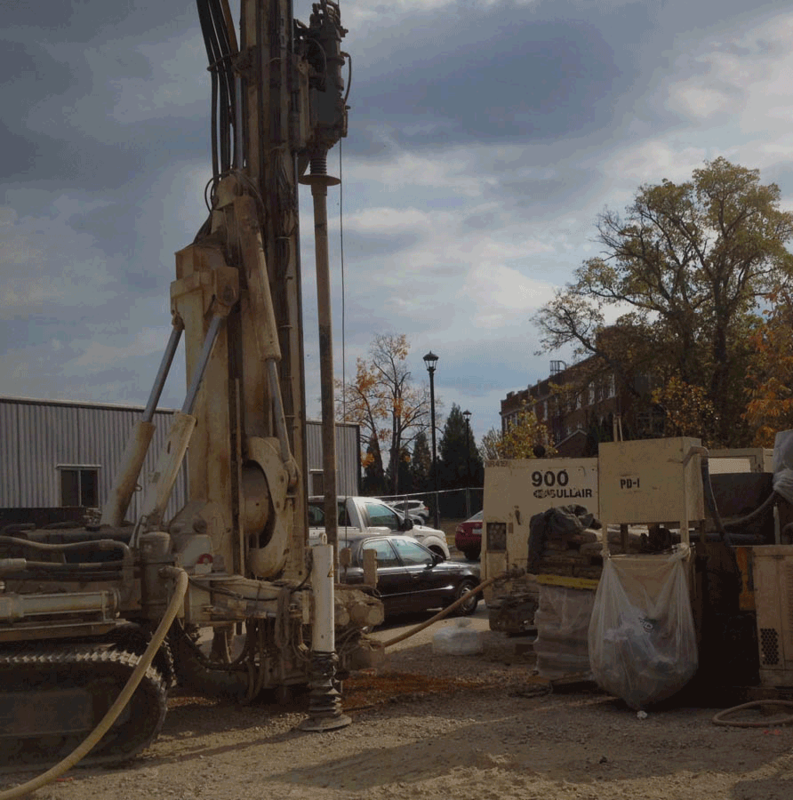 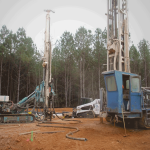 The casings of the minipiles are advanced as piles are drilled into bedrock. 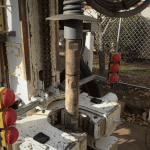 Drill rod is removed. 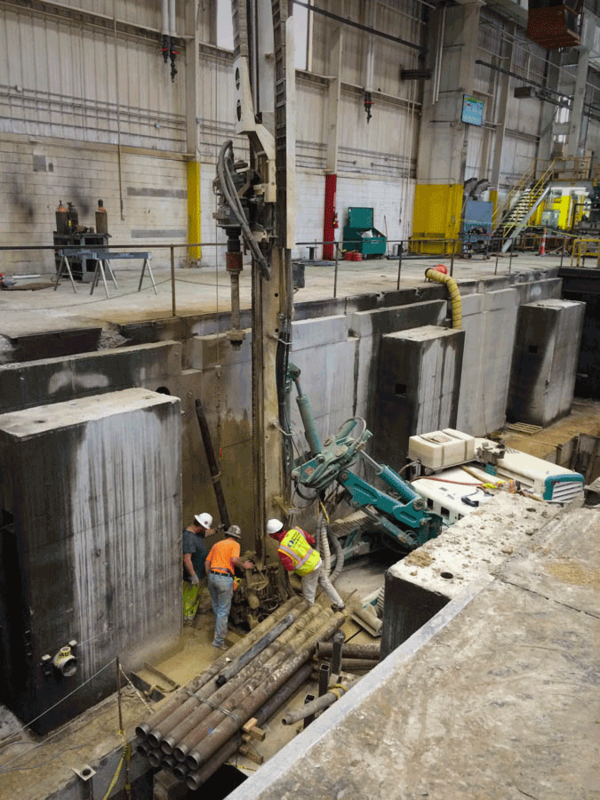 The steel casing remains – so each micropile is set in bedrock. 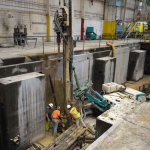 A reinforcement load bar is lowered into the casing, for added capacity. 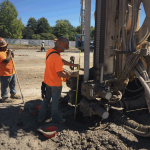 Cementitious grout is pressure fed into the minipile casing and rock socket to ensure bonding. 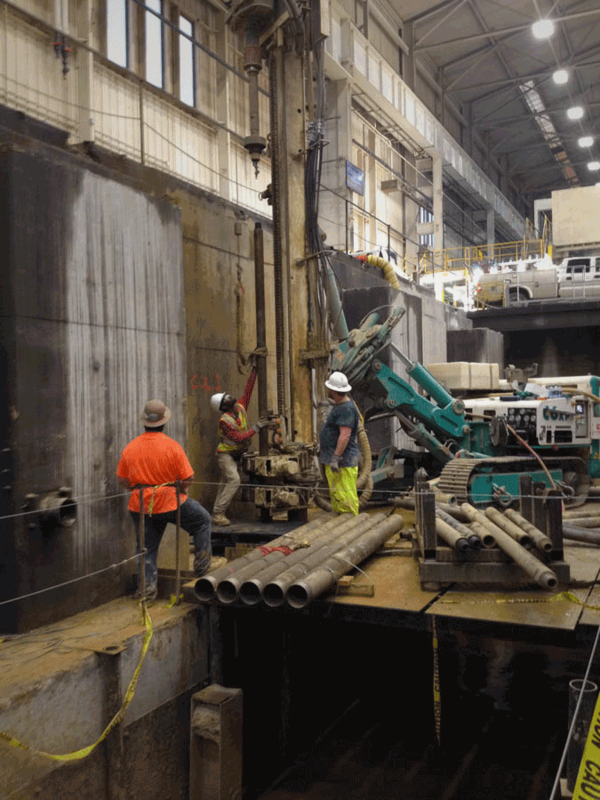 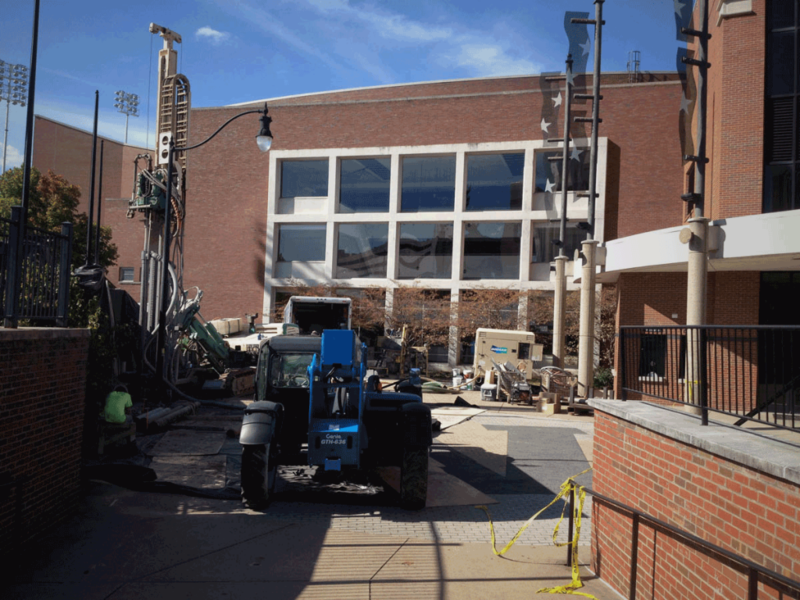 The casings for the mini piles are lifted to top of bedrock, allows bonding to the bar. 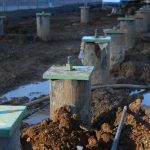 Excess steel is cut from the tops of minipiles. 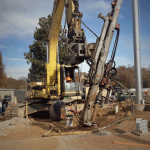 Piles are capped to engineer’s design. 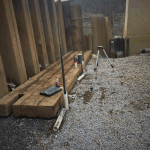 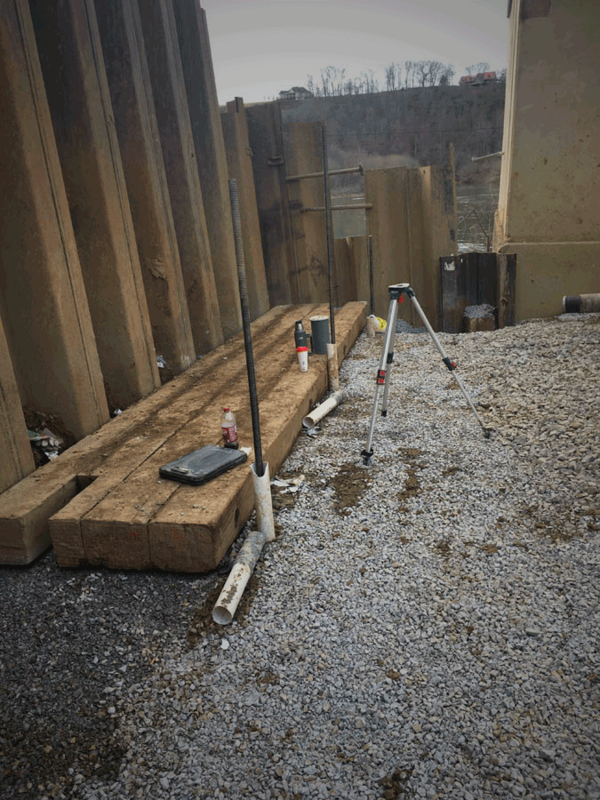 A select number of piles are load tested to prove the engineering load design.